Back in September we made the move from our shared office at Ideas Inc to our very own office! I have waited until now to blog about this monumental event because we revealed our new name and identity to the team that morning. After the big reveal the majority of the day revolved around celebrating our new name that we launched publicly this spring. Our former office at Ideas Inc.
Ideas Inc had been our “home” since 2010, nearly 3 years in total. The Ideas Inc building helps start-up companies by providing reduced-rate office space and also provides different programming to help new entrepreneurs. Initially we had three small rooms on the top floor but quickly grew out of that space and moved into 2 larger rooms on the ground floor. 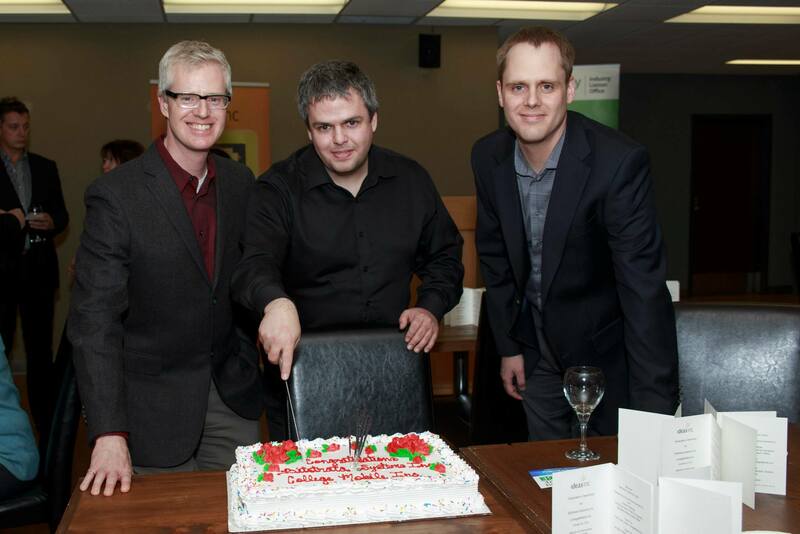 We certainly enjoyed our time at Ideas Inc and we are proud to have “graduated” to our very own office space. As we grew and attracted new clients we knew we needed to venture out and have a space to call our own. 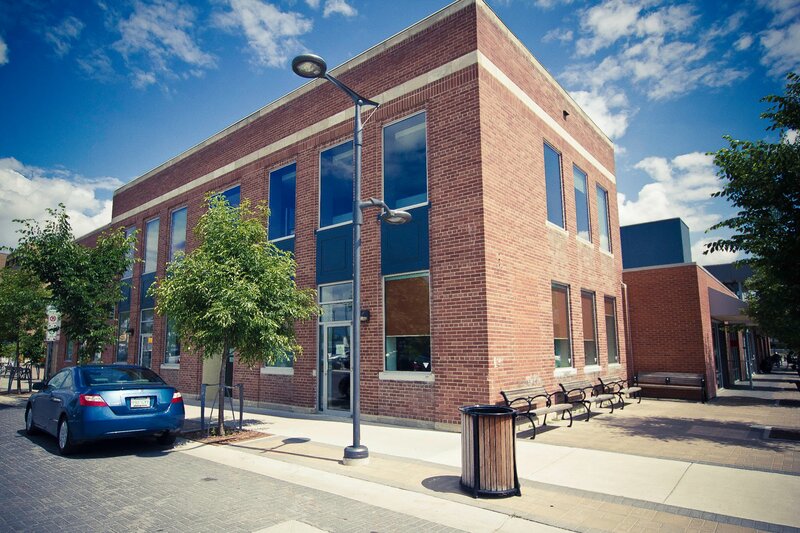 We now have a 2,300 square foot office on the south side of the city. 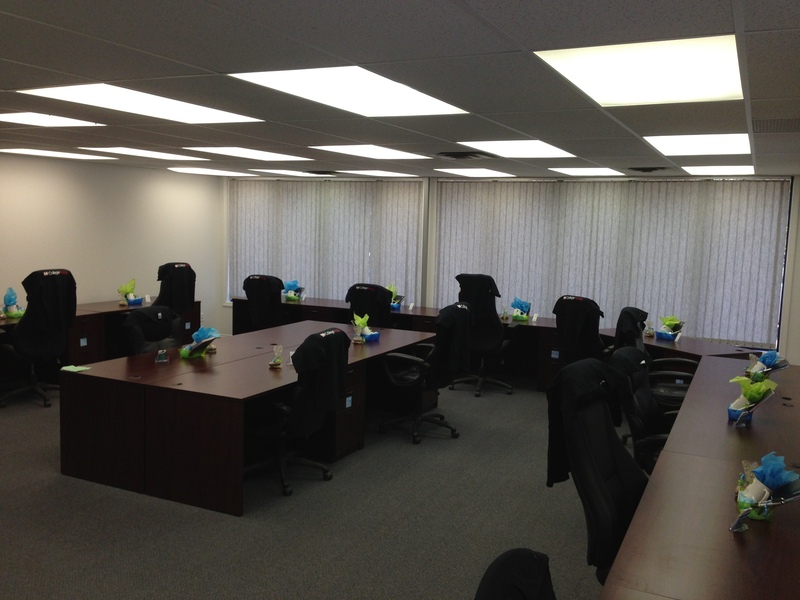 We have 2 separate offices up front with a board room where our whole team can gather. In the front foyer we have displayed awards and news articles and also have a “Collaboration Station” where our developers can pair code. 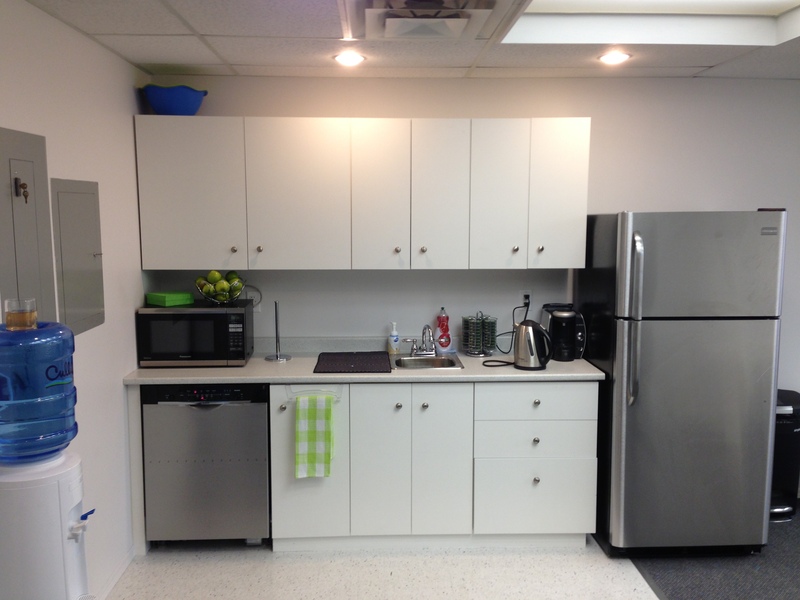 We have our own kitchen where everyone can eat,take a break and we have even hosted a potluck or two! The back area holds all of our developers and is a nice sized space where everyone can work as a team (with a bit of room to grow!). We even have a small back room that we call “the chalk board room” because we painted an entire wall with chalk board paint so we can go crazy and brainstorm app ideas and flesh out technical requirements. This is also a great space for pair coding and small team meetings. The day we moved into the new office we had the team wait out on the front steps until every person had showed up. Once everyone was together we ushered them into the board room in the front of the office. Before we committed to the space the entire team saw it and really liked it, however, there had been work done since they last saw it so it was all fresh and new for our big move in day! We had set up a little breakfast station so everyone could grab some cinnamon buns and coffee for the big presentation. Shane our COO and I presented the new name to the team and got great reactions from the whole team. It truly was a completely fresh start for us – new office, new name and new us!! 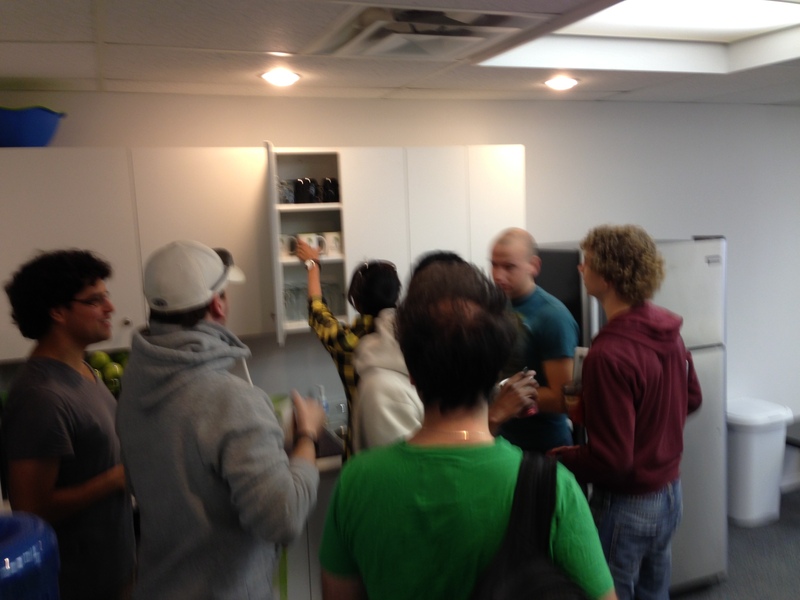 After the presentation we set the team loose to explore the office. One of the coolest moments for me was hearing the team’s excitement as they opened the cupboards and discovered our new brand name on rows and rows of mugs! Every marketers dream: the team finding the new Push branded mugs amidst shouts of excitement! The team ventured into the back room where I had set up each desk with a CollegeMobile T-shirt (can’t forget where we come from!! 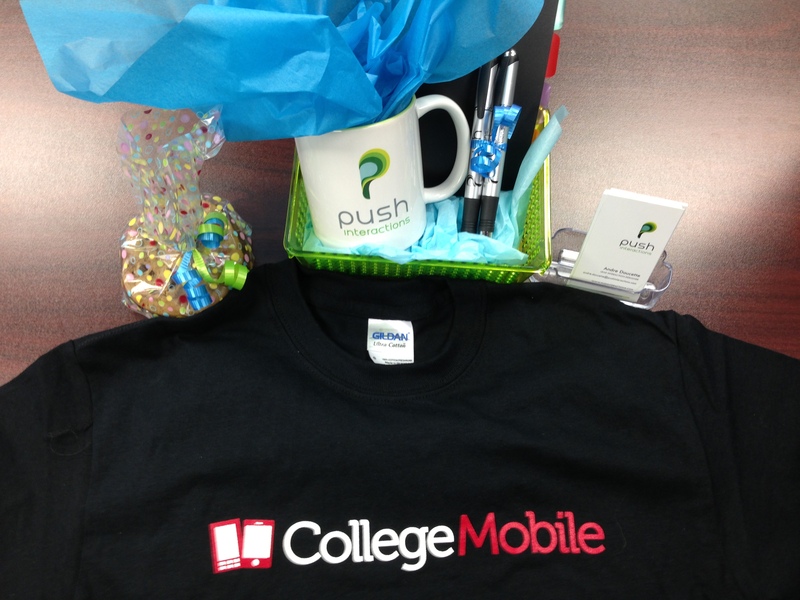 ), Push business cards with everyone’s name on them, and a Push-themed welcome basket with mug, pens, notebooks, cookies and candies. One of the cool things we were able to do is Skype-in one of our colleagues that was visiting family in China. 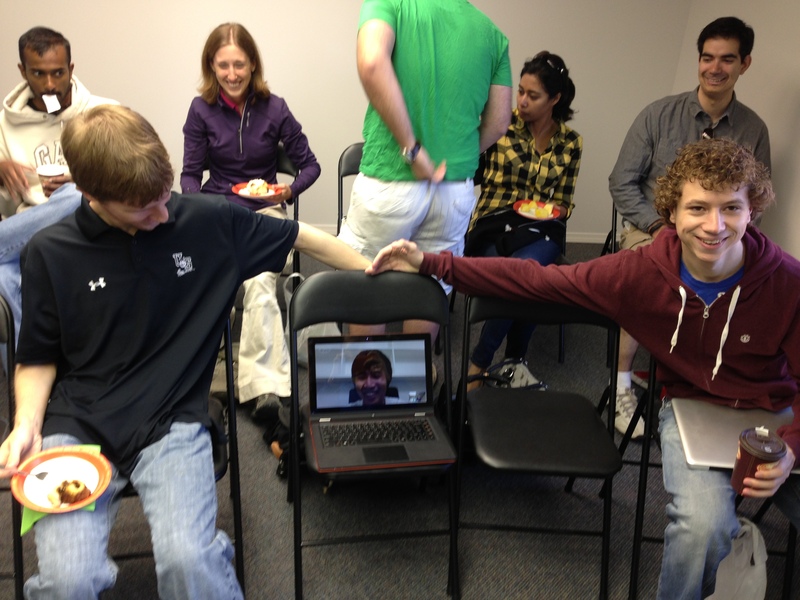 He didn’t want to miss out on the fun so we included him by video-conferencing him in. No one is left out! Our developer, who was visiting family in China, Skypes in to the festivities. 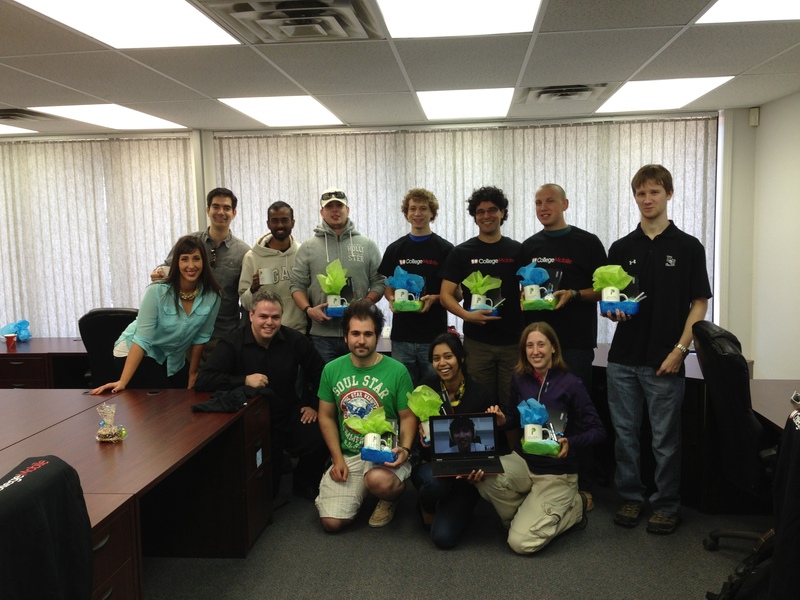 We spent the rest of the day getting settled into our new office, getting our desks set up and generally celebrating. We wanted the team to be proud of how far we had come and celebrate this day as a huge team accomplishment. 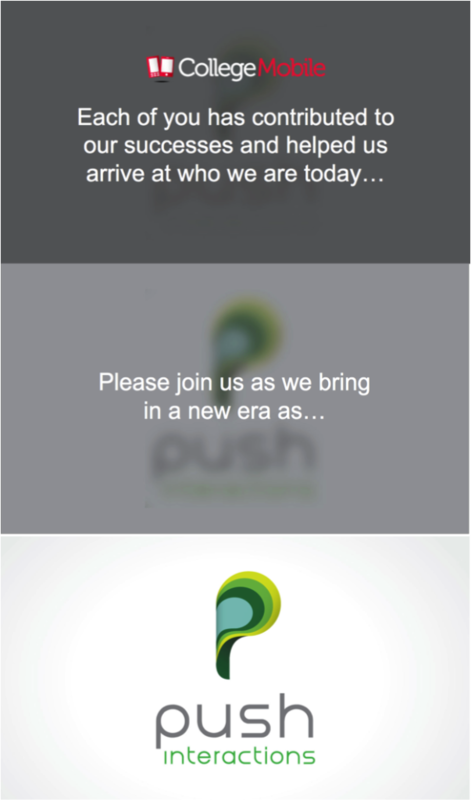 I am proud of our team for how far we have come and so hopeful and excited for the future as Push Interactions. We will never forget where we came from and will celebrate our past, current and future successes as a united team. Our name and location may change but the heart and souls of those of us who work here will remain the same!